ATC Stable belt used by the RAF and Aircadets all over the UK. Latest new Air Cadets ATC stable belt. This is a special offer. 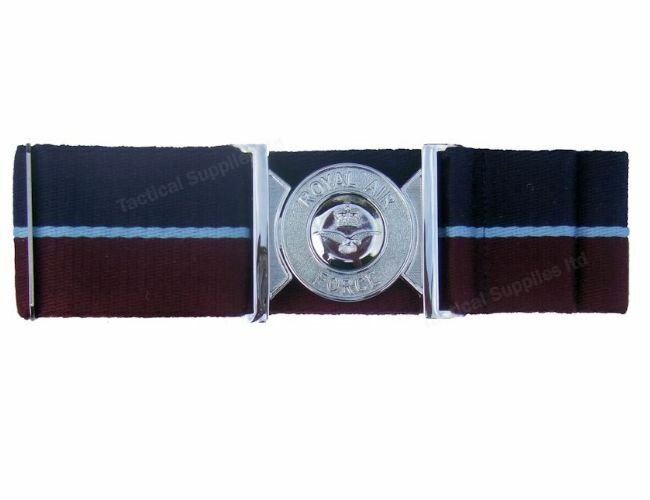 Regulation RAF Stable belt, Chrome plated buckle on a belt with blue and maroon stripes and nickel slide. Money back if not happy with purchase.